Innerspace Electronics Inc. invited teenage students from the Northern Westchester Boys and Girls Club (BGCNW) to their facility in Port Chester, NY for an opportunity to learn more about possible career options in the technology industry. The students visited the company on November 14 and company executives and staff offered presentations and led group discussions designed to be both thought-provoking and educational on the technology industry in general, and on possible careers options with which they may have been unaware. 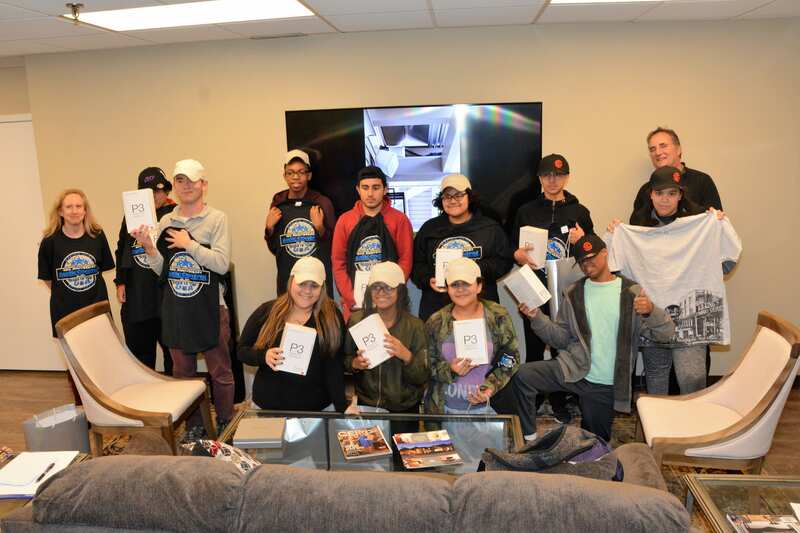 Capping the day with a fun dinner of pizza and soda, IEI employees presented the young attendees with a goodie bag filled to the brim with products donated by Innerspace Electronics’ manufacturers and sales representative firms. The company would particularly like to extend their gratitude for the generous contributions of Bowers & Wilkins, URC, RTI, Sony, Audio Control, Atlantic Integrated and Ultimate Integration.